SEAT : 16″Black Smooth Leather. GULLET : 6 3/4 inches. Semi quarter Bars. BASE : High Quality Wool. TOOLING : Floral carving and basket hand tooling. EXTRAS : Matching Front Straps. 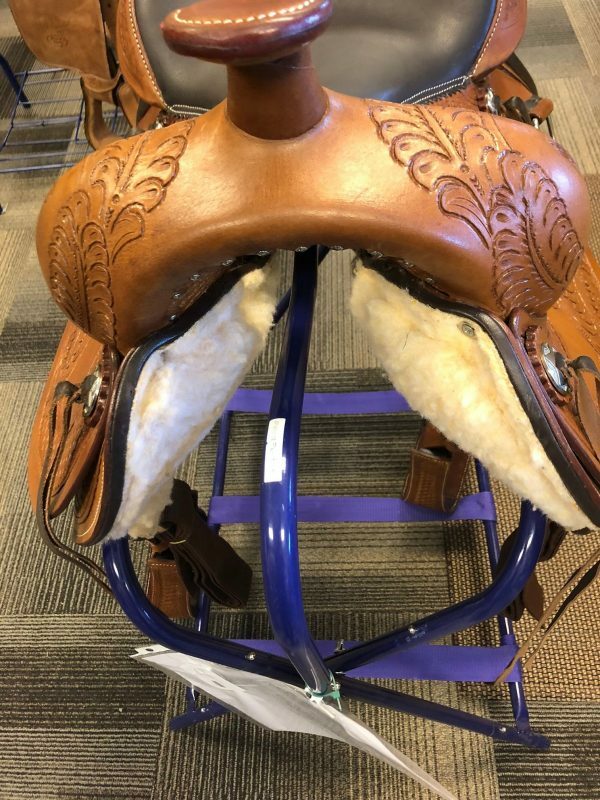 This is a gorgeous looking Hilason Western Saddle. Its made on a Treed that is specially made for horses. 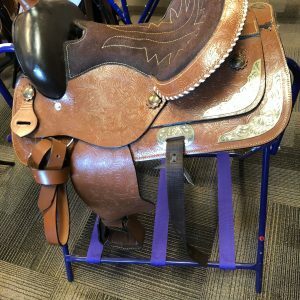 Due to the shape and nature of the muscle movement of horses, the tree of the saddle is specially designed to provide allowance for the muscle movement and to make sure that the saddle does not come in the way of the natural movement of the horse’s body.Due to its amazing shape, it fits onto horses brilliantly and provides utmost comfort to both the Horse and the Rider. 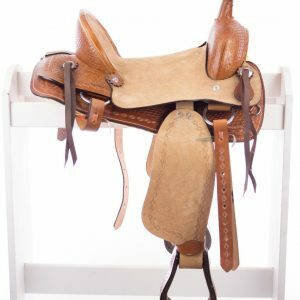 This saddle is made of top quality Skirting leather and craftsmanship. 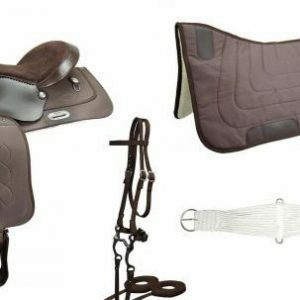 The stirrups have Blevin buckles to provide quick changes in stirrup length and accommodate a wider height range of riders. 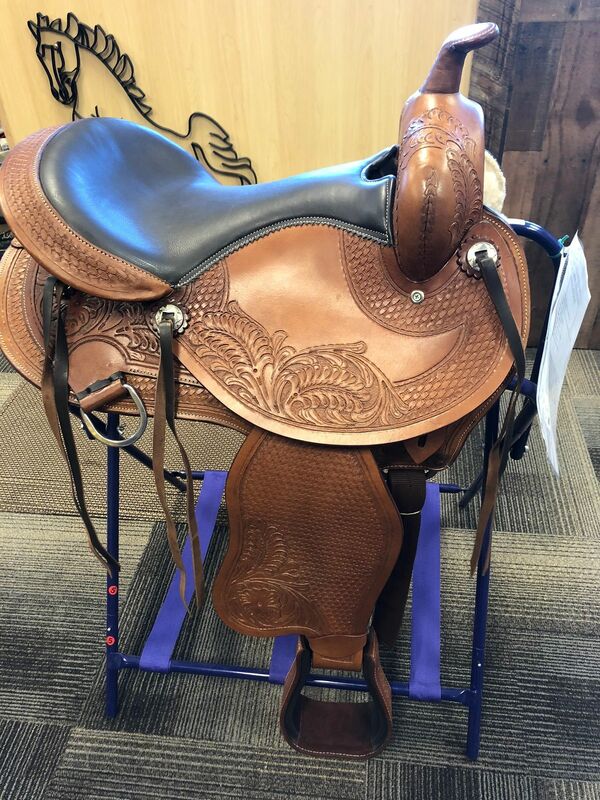 Some of the unique features of this light weight saddle is its close contact and pressure relief attributes. 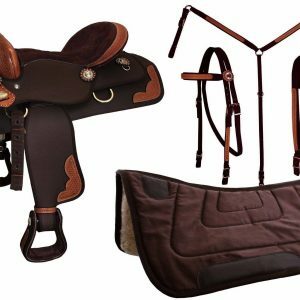 The Hilason saddles are for those who have high regards for Comfort of both the horse and the rider.